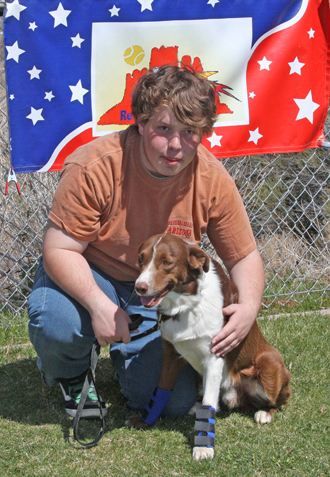 After years of boxloading, teen Zach Fox decided he wanted his own flyball dog. After a lengthy search for just the right dog, he and his aunt Brenda found Spike on a working ranch in California. 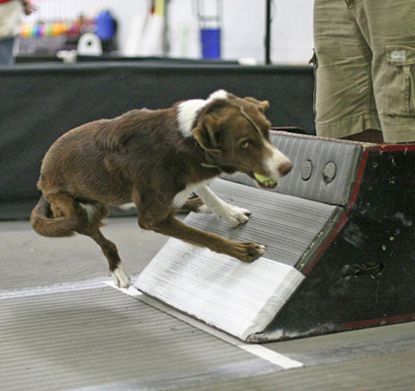 At first, Spike was tentative and uncertain about being around so many people and dogs, but he loves to work and takes his job very seriously. 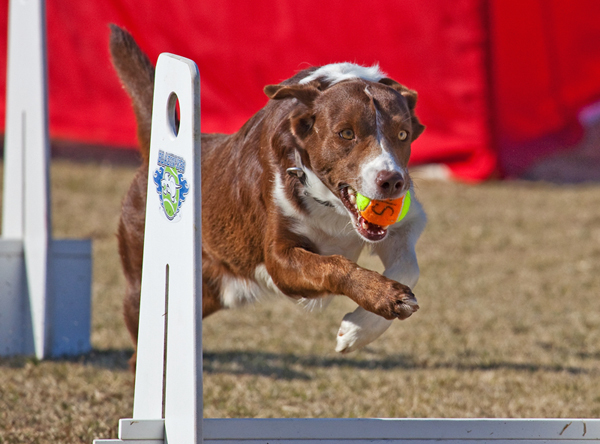 He gets faster with every tournament--and we see increasing joy as he learns just how much fun flyball can be! We look forward to having Zach and Spike as key racers on our team for years to come.